Here at TechHub, we see lots of cool mobile websites and apps created by our members. The problem is, there are so many different mobile devices, it�s difficult to get your app or website working on all of them. The same website might look great on one device, but not work very well on another, and although there are some great resources online to test your website, nothing beats actually trying it out for real. We've all heard how important it is to make your website work on different sized screens, whether that means a responsive, adaptive or a mobile site, but when it comes to interacting with it, it's difficult to tell how easy something is to use without actually touching the screen and seeing how it responds. As the recent reports on Android Fragmentation make clear, it is impossible to keep a version of every type of phone to test on, and it�s almost impossible to choose which ones you should support. Looking at your site statistics can help if you're rebuilding a site, but if you're launching for the first time, like many of our startups are, it's a bit of a shot in the dark - much better to get a wide coverage of different types of phones, so that you have a better idea that your site will work. 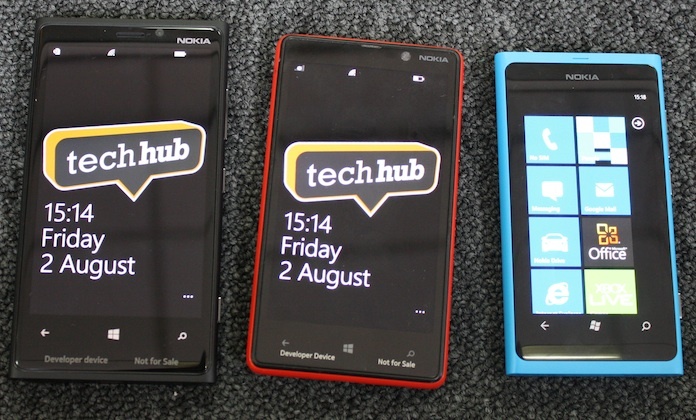 In order to help our members, we have recently started the TechHub London Mobile Device Lab. This is a collection of phones and tablets that members are welcome to borrow to test their websites on. Currently, we have a lot of really interesting devices - we bet you�ll find at least one phone you haven�t tested your website on yet! We're pretty proud of our Blackberry collection - We have several different types of phones running on Blackberry 7, both touchscreen and non touchscreen phones. It can be really helpful to test on non touchscreen phones to see how accessible your site is. It depends on your audience, but you're likely to have some people using older phones. We have 3 Nokia Windows phones as well - which is great, seeing that according to recent figures, Windows is up to a 9% market share in the UK. As well as mobile phones, we also have a few tablets for members to play with. 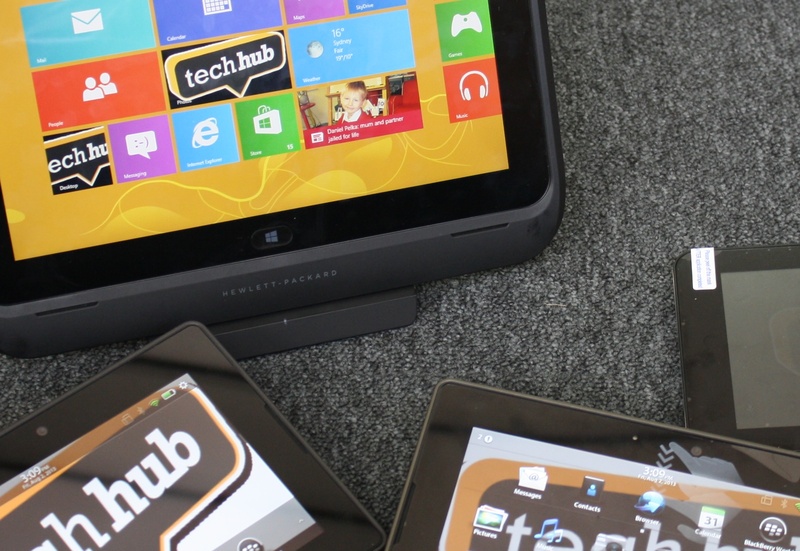 An HP Slate 7 (Android), an HP Elitepad 900 (Windows 8) and two Blackberry Playbooks. They are a nice range of different resolutions and operating systems, and the size difference is particularly useful if you have a responsive site and want to see how it feels using it on different screen sizes. We�re really grateful to the companies who have helped us build up the device lab so far, particularly Blackberry, HP and Nokia. This is only the start - we hope to add more devices to the lab, but we need you're help to do it. We�re taking donations from members and friends. 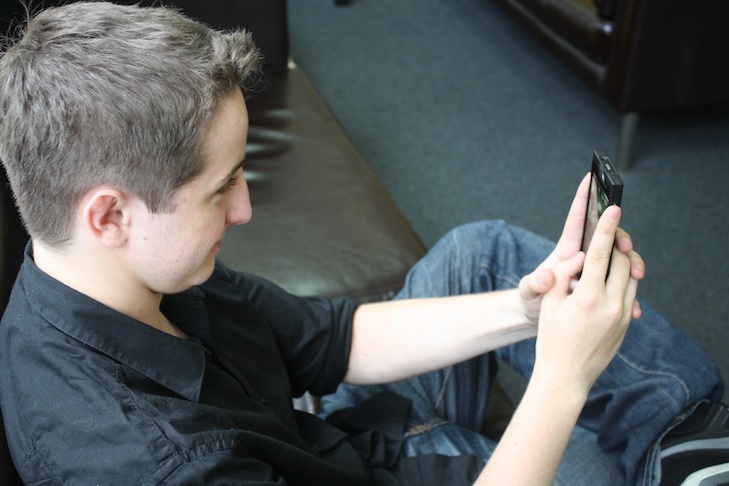 Our first donation came in the shape of an iPhone from our developer Dan Blows - thanks Dan! TechHub members can use the lab weekdays between 9 and 5. For more information about the lab, visit our Contact us page, or find out more about being a TechHub member.